HBO fans have waited long enough for the chance to stream Game of Thrones on their Apple TVs without having to shell out hundreds of dollars for a monthly cable subscription. The time has come. HBO Now is live. Unlike your cable contract, HBO Now on Apple TV is incredibly straightforward: $15 a month with no commitment for all the HBO content your heart desires. If you sign up before April 30, your first month is free. Game of Thrones starts Sunday. Perfect timing, right? Apple recently dropped the price of Apple TV from $99 to $69, making it more competitive with other streaming set-top boxes. And HBO Now is exclusive to Apple devices for the next three months, after which HBO can start shopping to the service around to other non-pay TV platforms, which makes Apple TV even more appealing—at least during this small window of time. International HBO fans who would love the chance to use HBO Now have to wait—the service is only available in the U.S. for now. If you live in the Northeast and subscribe to Cablevision's Optimum Internet service, you can also get access to HBO Now. Check back later this week when we go hands-on with HBO Now to see if it’s just as great as HBO Go. 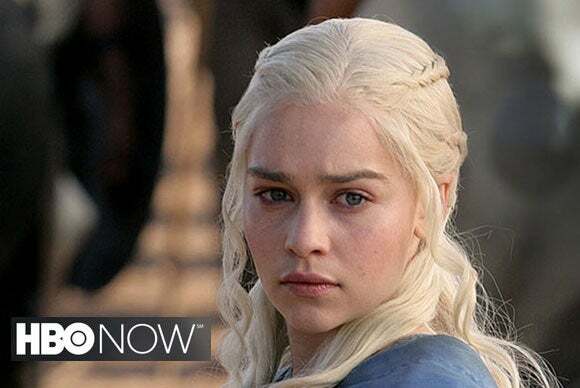 Have burning questions about HBO Now? Let us know and we’ll try to answer them.